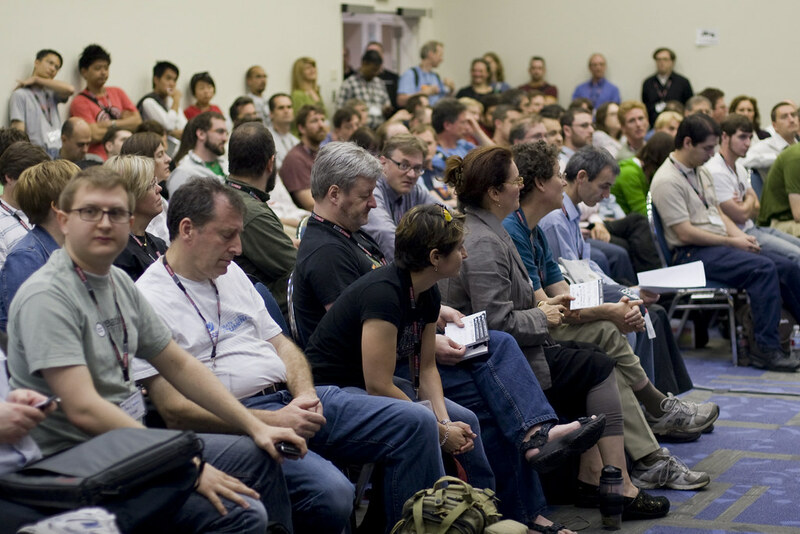 To join us you need to register, and over 180 people have already registered from a diverse range of organizations including Mozilla, O’Reilly Media, Rackspace, Adobe, Partimus, Red Hat, Google, Portland State University, Open Affairs Television, Apache Software Foundation, Xen, Digium, IBM, Microsoft, CloudCamp, OpenSesame, Oregon State University Open Source Lab, Wikia, Eucalytpus, MySQL, MeeGo, Linaro, Oracle, Linux New Media, BitNami, SUSE, setiQuest, Webtrends, Alfresco, Northeast Coalition of Neighborhoods, Open Source Bridge, OpenStack, Joomla!, Peace Markets, Infinity Curve, MoreThanGiving.com, TYPO3 Association, and many more. I also want to offer my thanks to O’Reilly, Oracle, Ohloh, and Microsoft for helping to support the event! Simple. Just go and register (it is free) and feel free to share some session ideas that you may want to see or run at CLS11. Go to the CLS11 Wiki and share session ideas and lightning talks for the event. Everyone is welcome to share ideas! Congratulations on this leadership meeting. I live in Canberra Australia and have extensive local, national and international experience in politics which could help your work. Australians are looking for a variety of productive ways to discuss openly statements by President Obama tha the Royal Navy was destroyed off the coast in the 1940s by America for immediate power gains with Germany. A conference is needed like yours to get the facts together and to consider our role in international relations especially within the Commonwealth of Nations which meets in Perth later this year to discuss such concerns.